Anderson Bean has produced hand-made boots for over 30 years. 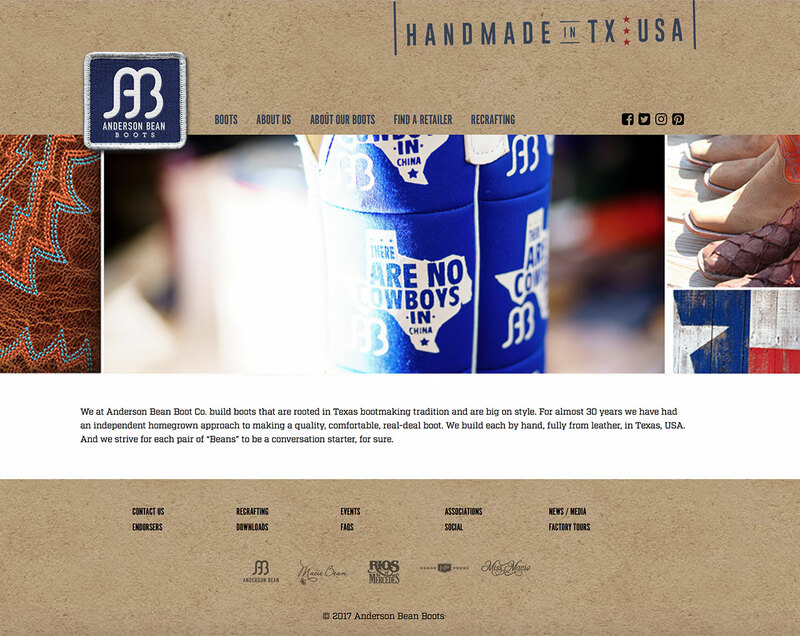 The company has roots in Texas bootmaking tradition and appeal to buyers looking for well-made, functional and fashionable boots. The website has a geolocation retailer locator, boot galleries and resources for customers to stay connected to the brand. This website was built in conjunction with the other corporate brand sites (Olathe Boots, Rios of Mercedes and HorsePower Boots) on a single content management system to streamline data management and administrative functions.